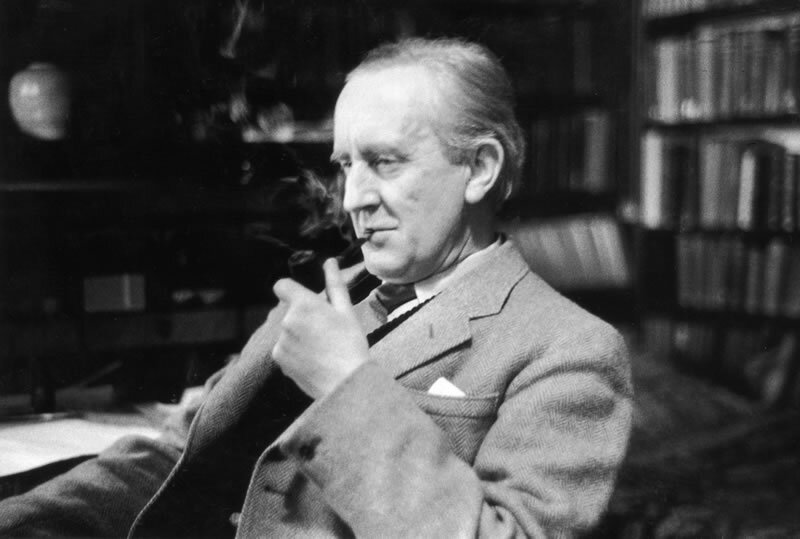 It is Tolkien month at the World's Stongest Librarian Blog! "Who’s excited? I can’t hear you! Perhaps I’m the only one excited at all. So be it. Wait! I hear a cheer from the back. Okay, there are two of us..." this is how Josh Hanagarne started of Tolkien month at his blog on the 1st of September. It is always a nice idea to write and discuss about all things Tolkien and so the World's Strongest Librarian thought it a good idea to spend one complete month discussion anything Tolkien. Guess it is time to join in and have some fun! Since the series has already started and you probably did already miss some days it gives you a nice chance to see what it is all about. As Josh writes "I love Tolkien and I can’t wait to write more about him and his books, but I’m going to need the help of the nitpickers", he is in need of some long time Tolkien fans to aid him and make Tolkien month a big succes. Josh is a fan but tells "This is not going to be scholarship when I write, it’s going to be more like one gigantic, month long fan letter, so don’t fuss too badly if I happen to misspeak about leap years in Numenor or if I don’t get the properties of Mithril just so", so be there to show how big a fan you are and help him out when he makes a mistake - oh yes you are welcome! Every Tolkien fan is invited to participate and submit articles or art, or anything Tolkien you wish to talk about. What was your first experience with Tolkien? How old were you? What were your early impressions like? This is the first question that was asked and everyone had a lovely response. While my first experience with Tolkien happened well before I could read, since my eldest brother had told me all about the adventures of Bilbo Baggins when I was still a kid, I do remember very well my first time I read The Lord of the Rings. I was reading "In de Ban van de Ring" in a copy that looked exactly like in this image - this is the Dutch translation of The Lord of the Rings. Back then I did not realise this was a 1st printing, and in fact that did not matter at that moment... I was so impressed by this book that I found it impossible to stop reading. Every night I lay under my sheets with a small flash light and just had to keep reading. Guess many know exactly what I mean! Since that time I have never stopped reading Tolkien and lost count how many times I have re-read The Hobbit and The Lord of the Rings. The second time I experienced a deep love for Tolkien's works, and maybe even more intense then with the Lord of the Rings, was when I finally read the Silmarillion for the second time (the first time was hard and hardly enjoyable) and since then every time I re-read it The Silmarillion got better, deeper and more intense. At the moment I have started to think that the more I read The Silmarillion and the deeper I digg into it, the more I understand and comprehend, the less I understand how one person was able to create this book in the first place and the more I love the author J.R.R. Tolkien. Follow and participate this Tolkien month at The World's Strongest Librarian.